Many home owners are opting to extend their current home instead of packing up and moving into a different property. We at Mint, here in Cheltenham and the Cotswolds, realise this only too well and have relaunched our own ‘Extend Instead’ Campaign this New Year and response has ‘lively’. 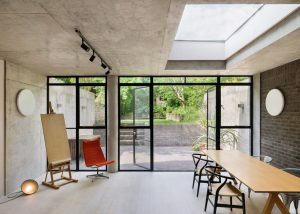 Dezeen.com reported, “The winning London extension was a home created within the shell of a derelict chapel. 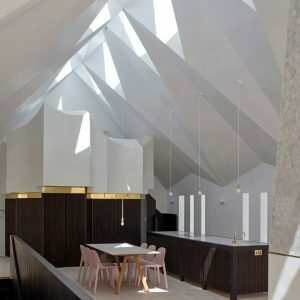 – described as “unbeatable”, The Chapel was by architecture and property development studio Craftworks The London-based studio, previously known as John Smart Architects, created the new home within the old structure of a religious building in Camberwell, south London. A new floor was created beneath, providing space for bedrooms, while a new roof punctured with triangular skylights creates living areas with a dramatic lofty ceiling.”The Chapel is one of the most dramatic transformations and the jury was unanimous in giving it first prize – the large space and elegant treatment of the roof was unbeatable,” said NLA director and jury chair Peter Murray. Second prize was awarded to Stego, a renovation project by Archmongers at a 1980s end-of-terrace house in Southwark, featuring corrugated metal cladding and green details Meanwhile third prize is shared by two projects: Folded Wedge Townhouse in Lewisham, by Russell Hunt Architects, and Lauriston Road in Hackney, by Gundry + Ducker. The second and third prize winners are particularly interesting because the architects took two more unremarkable houses and turned them into something very special,” said Murray. Dezeen is media partner for this year’s Don’t Move Improve! Judges included Dezeen editor Amy Frearson, Evening Standard journalist Philippa Stockley, architect Carl Turner, architect Cany Ash of Ash Sakula and architect Jo McCafferty of Levitt Bernstein. 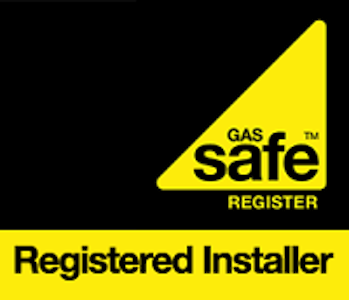 Any home extension or improvement project completed in the last two years, in any one of London’s 33 boroughs, was eligible for entry. Kings Grove in Southwark by Al-Jawad Pike won the award for best use of materials, with its combination of pigmented concrete blockwork and well-crafted joinery. Meanwhile the best interior award went to Crouch End House in Haringey by Catriona Burns Architects, which features clever storage solutions. 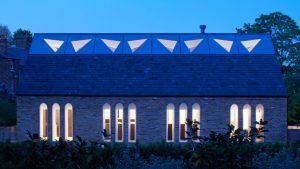 Two projects were recognised for cost effectiveness: Scissor Truss House in Lambeth by Studio MESH and Breakout Extension in Haringey by Knott Architects. 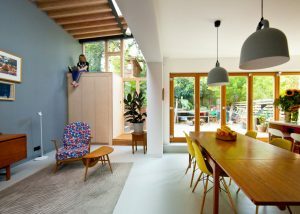 An award for sustainability went to Reuse Flat in Hackney by Arboreal Architecture.